We did something this year, we went on vacation. Crazy concept, I know. Let me just say it was one of our most favorite weeks of our lives - ever. Since working with the youth group we honestly just haven't had much extra time to go and just take a week and just do whatever we wanted. We've had some great long weekends and a few quick family getaways but we haven't been on a trip that was just us, for a week since our honeymoon (which was 11 years ago). So, you would think that with this being our first real vacation as a family and all we would have spent some time planning and preparing and stuff. Well, that just wouldn't really be us. We knew we were going (somewhere) and we knew the week we wanted to go but we did not decide on the location until the day before. Was that smart?, not really but we learned a lot and now we do know what to do for the next time - because believe me there will be lots of next times. So we did have some sort of criteria for narrowing down our vacation location - it needed to be affordable, drivable and relaxable. All along we leaned toward just going to a NC beach but after searching and finding how non-affordable a lot of places were (especially when you wait until the last minute and nothing is available) we decided to look elsewhere and we settled on the Destin area of Florida. We had been there one time before for a quick family get together and always said we wanted to go back. It met are criteria - affordable (we were very surprised how affordable this was), drivable (if you count 12 hours in a car with a toddler doable) and very relaxable...did you see the water? I think the Florida panhandle may have a little bit of a bad rap for not being a family destination but I think it just depends on where you go. 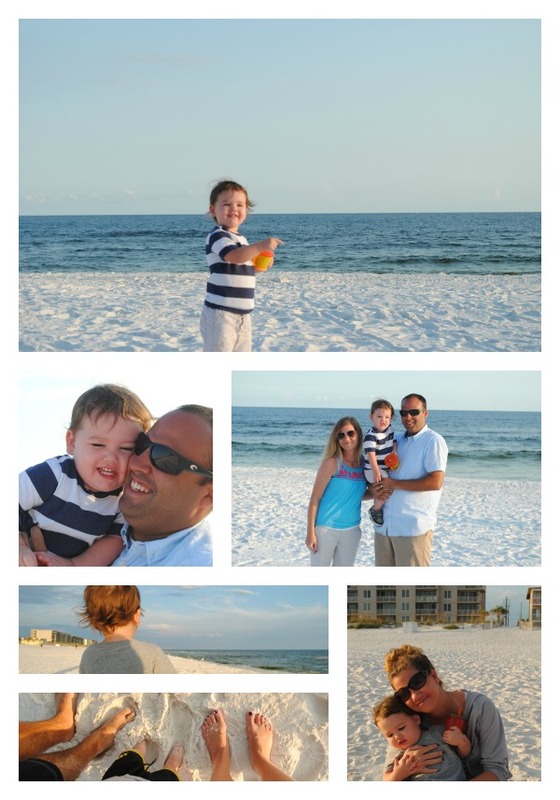 The Destin area is super family oriented. We actually stayed specifically on Okaloosa Island, which was even quieter and less populated than Destin (but were only 5 minutes from Destin which has lots of restaurants, shops and things to do). After searching and scouring websites I began to get a little overwhelmed with where to stay so I gave up and called a local property agency (Dale E Peterson) for help. They were awesome. They found us the perfect place within our budget with everything we wanted and more. I don't think I will ever try and plan a vacation like this by myself ever again. We even received their ammenity package (for booking with them) which included free golf everyday, free water park passes everyday, free movie rentals and more. Maybe that's like normal vacation stuff but we were blown away. We ended up staying at the Island Princess, which was perfect for us. It was quiet, right on the beach, super clean and completely relaxing. I think more than anything we loved the time we had as a family. 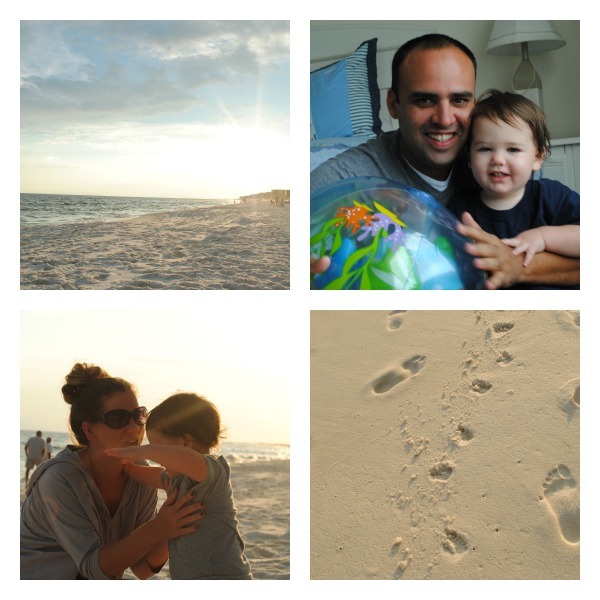 We loved watching Silas on the beach chase the birds and play in the sand. I think he loved having mommy and daddy all for himself for a week. We played, laughed and had so much fun. Just to be able to mentally check out for a week and regroup was huge for us. We have so much coming up for this next year and I really think it was a much needed break and re-focussing time for us. We were so thankful to be able to do this and we will always remember this week, it meant so much to us. Our first family vacation - precious memories.